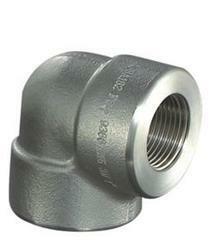 We are one of the trustworthy organizations, involved in offering a wide gamut of Tantalum Forged Elbow to our clients. 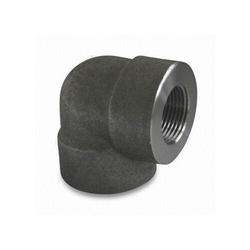 We are leading manufacture and supplier of wide range of Stainless Steel Forge Elbows. Straight, elbow 45 degree, elbow 90 degree, made to SAE J514, SAE, J1453, DIN 2353, BSI 5200 standards. Some of our range of fitting includes NPT, BSP 600 cone, ORFS, JIC 740 cone, SAE 900 cone, BSP O-Ring, BSPT, BSP Multiseal, SAE flange, Metric and JIS. We are offering a wide range of Forged Elbow in Stainless Steel, Carbon Steel, Alloy Steel and Nickel Alloy material from Rakhial, Ahmedabad.